Trial and error with hair care products doesn't fall short ever since I have bleached and dyed my hair blue at Hair Color Expert. Don't these bottles look luxurious? Are you still finding for suitable hair shampoo and treatments? Today I am introducing to you Moist Diane, their renewed Argan Oil series. It smells nice for me, not sure how strong it will actually be during application and how long it will last throughout the day. My friend tried the Repair variant and she has smooth hair. 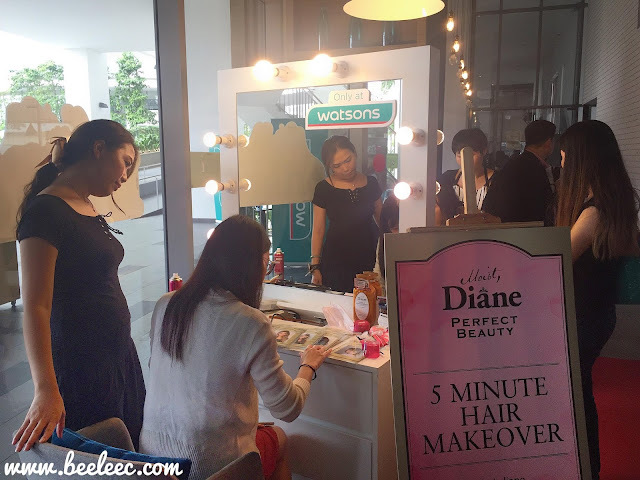 Moist Diane is a leading hair care brand in Japan and is especially beneficial for Asian hair. 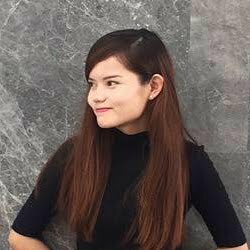 Don't ask me what's unique or different about Asian to Western hair. I don't know. But according to google, Asian hair is said to be thicker (usually) but less dense compared to Caucasian hair and can also be frizzy at most times. Thus managing thick and frizzy hair is tough. 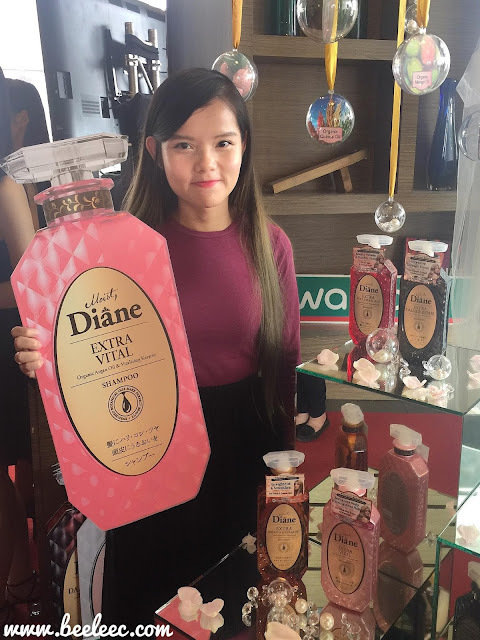 Moist Diane is here to help tame your frizzy hair and bring even the dullest and most tangled Asian hair into the most beautiful crown you'll never ever have to take off!!! 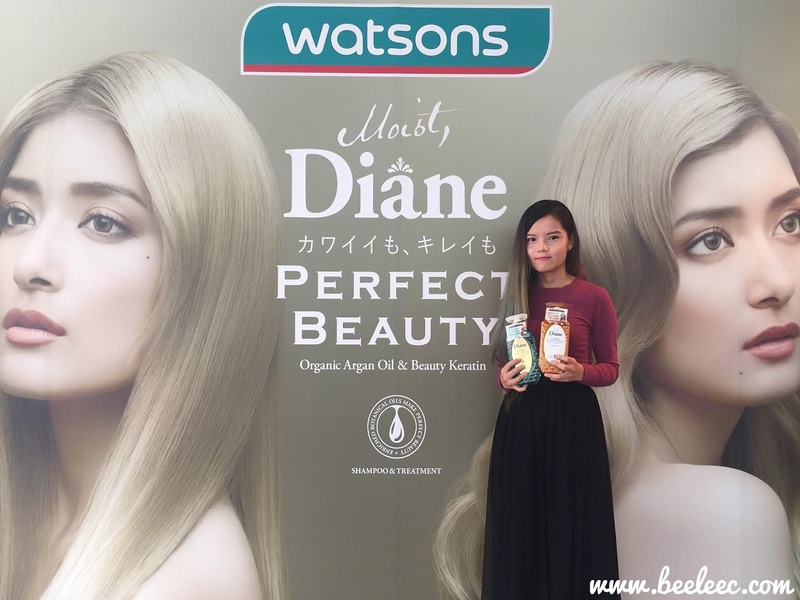 Moist Diane Perfect Beauty series uses the wonder of nature combine with the powers of science and renewed their signature Argan Oil series. It was launched in Japan last September and guess what? A million bottles were sold in just the first 10 days!!! This renewed range of their signature Argan Oil series has 6 shampoos and 6 treatments that are enriched with Moroccan Argan Oil and Customized Beauty Keratin to address different hair concerns of Asian women. It also comes in pretty and elegant packaging of their brand's trademark of diamond-shaped patterns. Extra Damage Repair - Amino Keratin provides deep intensive repair to gaps and holes on the hair surface. (For: Damaged, permed and colored hair). Extra Moist and Shine - Platinum Keratin helps to restore moisture and creates more surface area to reflect light and form a natural "angel ring" glow around the crown. (For: Dry & dull hair). Extra Vital - Vitalizing Keratin nourishes scalp and restores hair strength and vitality. (For: Weak hair prone to breakage). Extra Smooth and Straight - Cuticle Keratin infuses moisture back into dry and coarse hair, tames frizzy hair and smooths damaged hair cuticles. (For: Frizzy & coarse hair). Extra Volume and Scalp - Volumizing Keratin adds body to flat, limp hair and soothes sensitive scalp. (For: Flat hair & sensitive scalp). Extra Fresh and Hydrate - Feather Keratin leaves hair hydrated, light and airy. (For: Oily scalp & dry ends). Nano Repair Matrix is a sensor technology that helps detect damaged hair and allows the nano-sized Organic Argan Oil and Beauty Keratin capsules to be absorbed into layers of each hair strands, and in turn nourish and repair hair structures. Nano Repair EL is a unique ingredient that is activated by heat from the hair dryer. Once it detects the heat, it will penetrate into the hair shaft to boost hair elasticity, radiance and resilience giving supple hair! 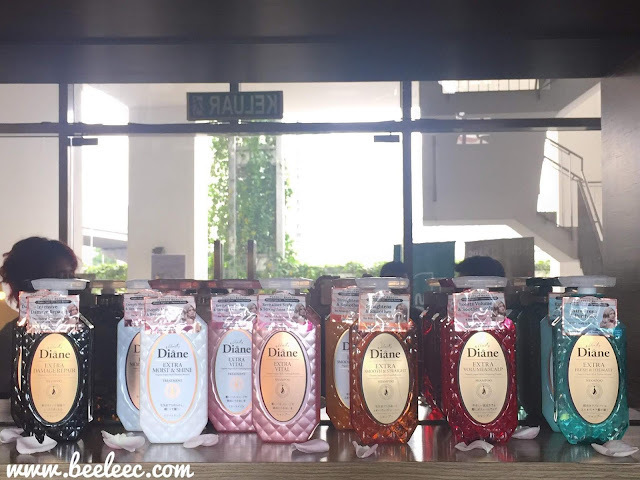 Moist Diane Original Gentle Cleansing Complex gently cleanses and rejuvenates the hair without any burden. On that day, there were also a quick hair makeover session too. 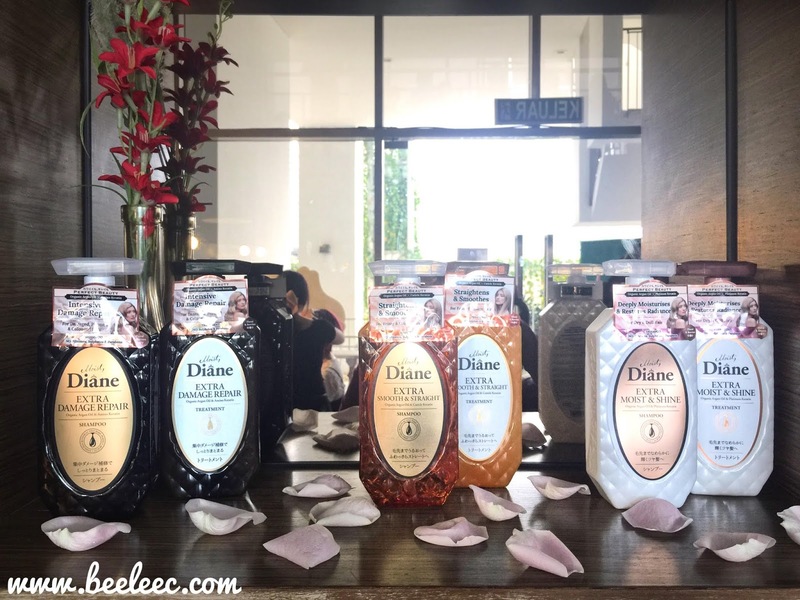 Tiger (Mr. Keigo Hishiya) gave his insights on Moist Diane products. A group pic of the VIPs that has brought in the Moist Diane Perfect Beauty series. Claire Shih (Overseas Marketing and Sales Director of Naturelab), Tiger (aka Mr. Keigo Hishiya; Managing Director of Naturelab), Dexter Lee (President of Mandom), Danny Hoh (Customer Director of Watsons Malaysia), Thoren Tan (Trading Director of Watsons Malaysia), and Shinichi Takata (Senior Executive Director of Mandom). 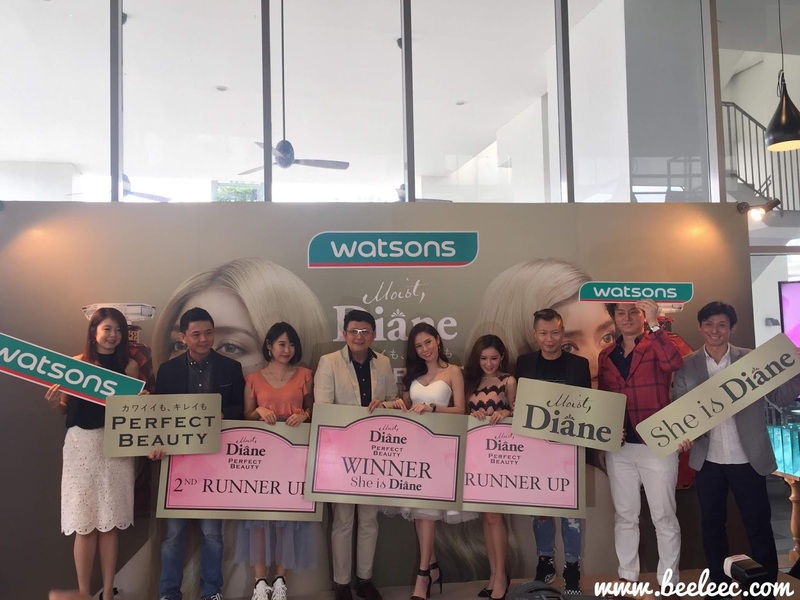 During the Moist Diane Perfect Beauty media launch, we witnessed the shortlisted influencers who have shared what "Perfect Beauty" means to them. They also catwalk with confidence while holding a placard that represented their passion for their personal cause and also revealed the product from the Perfect Beauty range that they have used. The aim of "She is Diane" search was for inner beauty, strength and the free spirit that embodies the brand. Bowie Cheong, Juliana Tan, Jynn, Mango Liew, Venus, & Patricia. The She is Diane First place goes to Juliana Tan, walking away with products worth RM2,000. Second place goes to Jynn, walking away with products worth RM1,000. 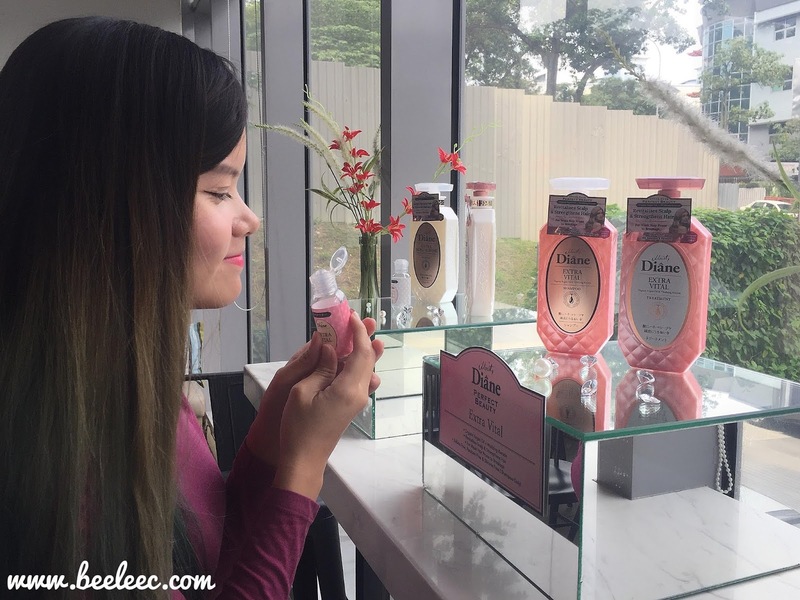 Third place goes to Purpletiff, walking away with products worth RM500. 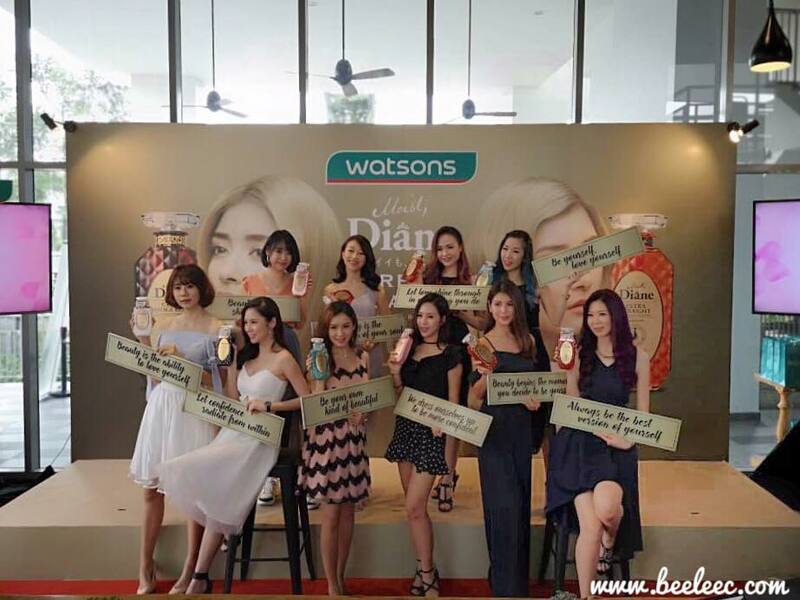 The rest of the contestants received consolation prizes worth of RM100 products each. Each shampoo and treatment are of the same price tag. A bottle cost RM31.04 for a 450ml bottle. Sulphate-free (Except Extra Fresh variant). Contains ECOCERT certified Organic Moroccan Argan Oil and customized with Beauty Keratin.